Beach wedding considered more informal than any church or garden wedding. Well, if you want to celebrate the special moments in your lifetime in Bali the Beach Wedding will be one of the great options for you. With the warm sun rays and the breeze from the ocean you better choose the right dress! However that doesn’t mean that your big day will be any less special or glamorous, it only mean that your big day will be more casual, laid-back and relaxed. Beach wedding considered more informal than any church or garden wedding. Well, if you want to celebrate the special moments in your lifetime in Bali the Beach Wedding will be one of the great options for you. With the warm sun rays and the breeze from the ocean you better choose the right dress! However that doesn’t mean that your big day will be any less special or glamorous, it only mean that your big day will be more casual, laid-back and relaxed. 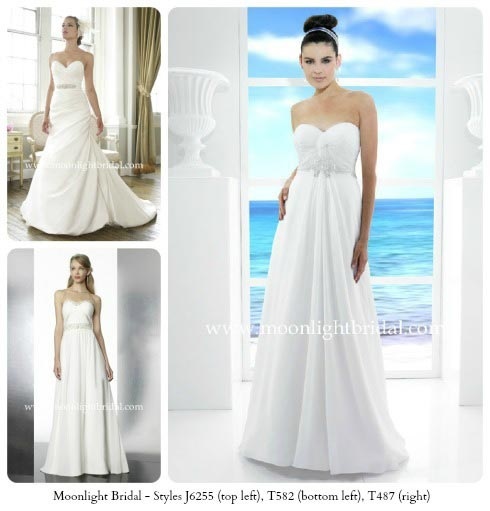 Strapless gowns are considered to be some of the most popular styles for beach wedding gowns. They are figure flattering, comfortable to wear in warm weather, and draw the eye upward which is especially helpful in creating balance in figures that tend to be bottom heavy. 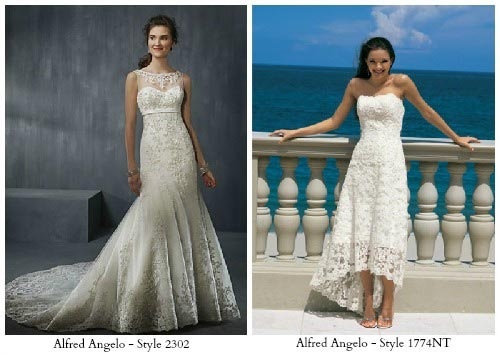 Sweetheart necklines boast a vintage look and feel, while heavy ruching make a small bust appear full. Embellished strapless styles also add some subtle sparkle and shine, which is sure to catch and reflect the beach’s sunny rays. A Grecian goddess look is also popular for beach weddings. These draped and ruffled gowns boast deep v necklines, asymmetrical straps, and regal jeweled embellishments throughout the torso and tummy. When it comes to wearing these elegant and flowing gowns, you can feel comfortable walking barefoot down the beach to the one you love, and wear your hair in long and loose waves to completely embody this romantic can carefree look. White lace gowns are also appropriate for beach weddings. The soft and feminine texture of lace stands up against strong beach elements like sand, waves, and lush landscape. Gowns with a lace overlay or lace cap sleeves are especially chic for beach weddings and heavily decorate your form, so you don’t need to wear a lot of jewelry on the beach. 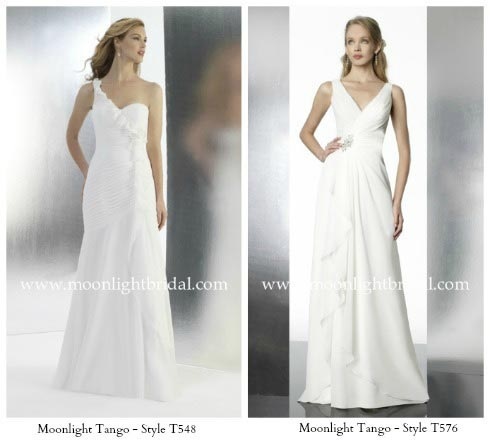 Trumpet silhouettes, also known as Spanish style gowns are very popular for destination weddings. These fit and flare gowns are figure flattering because they hug the body and emphasize serious curves from top to bottom. These are popular with modern brides because they are the perfect mix between formal and casual, and transition easily from a beachside ceremony to a formal reception at a beach club, restaurant, or a yacht. They add a touch of elegance and class, especially when embellished with ruching and floral appliques near curved and cinched areas on the body. The dress style as mentioned and explained above could be one of the options for your fabulous look on your beach wedding ceremony! If you are getting married and the venue will take place on the beach, you can consider some of these styles as your reference for your special day.